OVAL HALO CUSTOM BRIDAL SET – The Goldsmiths Ltd.
14k white gold custom oval shaped diamond halo engagement ring is made of round diamonds set in shared prongs surrounding a sparkling oval diamond center. 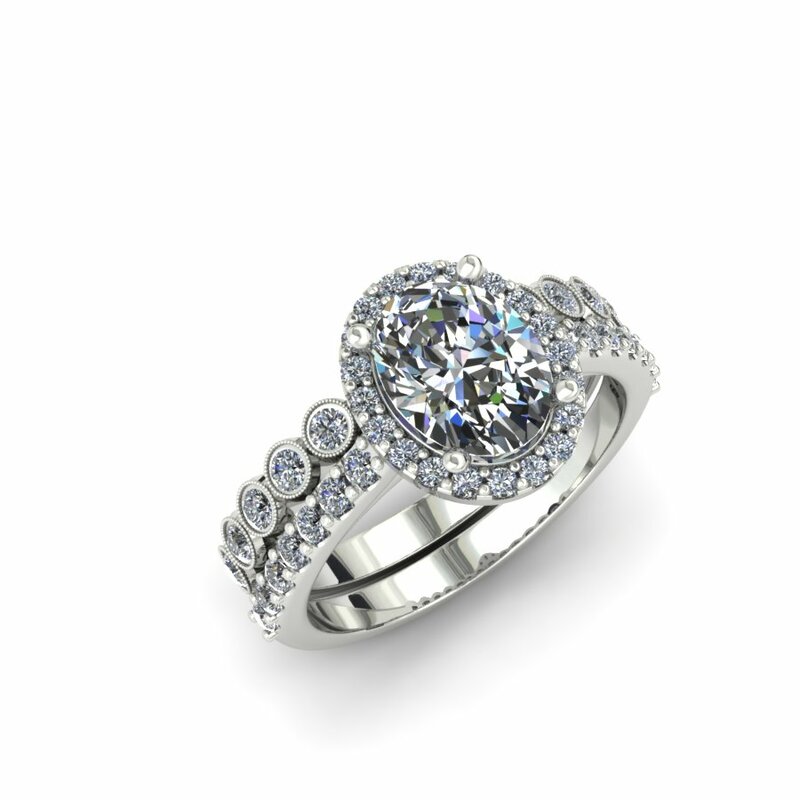 Round diamonds are set down the shank in shared prongs to give this ring extra sparkle. A custom 14k white gold wedding ring with 13 sparkling round diamonds set in bezels with milgrain detail around each bezel was designed to fit flush against the engagement ring.